II. Which Benefits On Skin? Honey is a familiar ingredient for people all over the world. 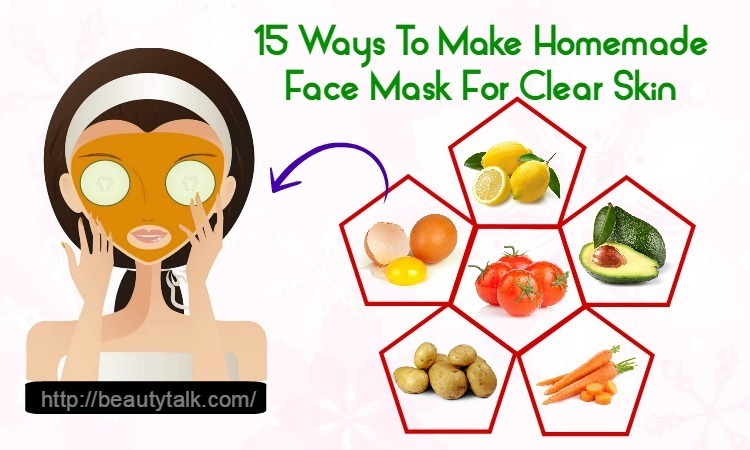 It helps to make your dishes more delicious, and make your skin more beautiful. However, why do people say that it is good for your skin and health? It is depended on its nutrients. This sweetener provides your dishes with natural tastes while supplying your skin with antioxidants and nutrients to fight diseases. 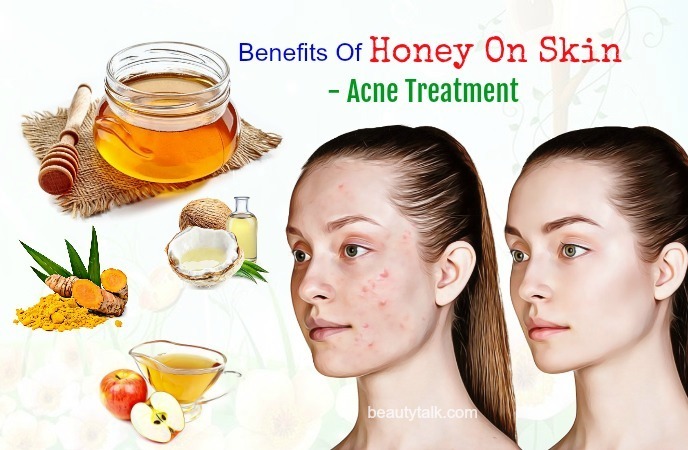 Our article today will go into detail about the uses and benefits of honey on skin issues including acne, wrinkles, dark circles, skin whitening, and dry skin. Keep reading and you will be surprised by its benefits. Honey is a thick and golden liquid which is nowadays produced by industrious bees and related insects. Each tablespoon of honey can provide people with 46 calories, dietary fiber, water, etc. People often use it for cooking, baking and adding to tea. 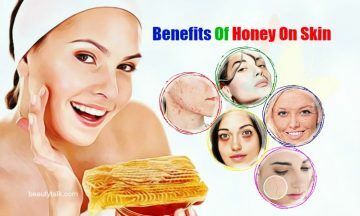 In the beauty aspect, honey is added to mask to fight against issues such as acne, wrinkles, chapped lips, dry skin, etc. II. What Are The Benefits Of Honey On Skin? 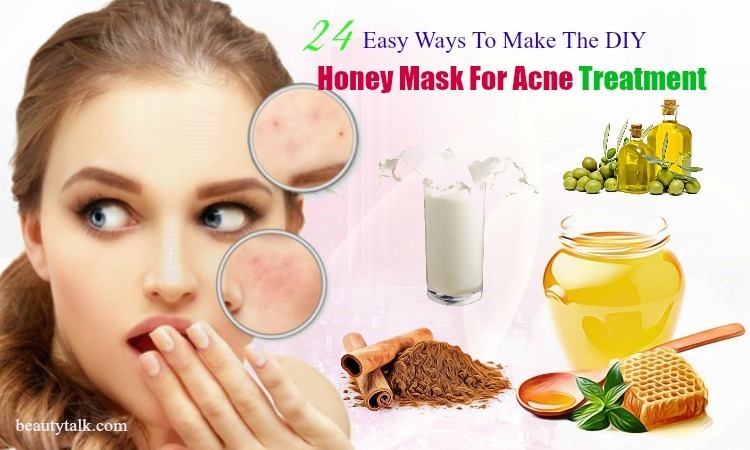 First and foremost, honey will help you to treat acne completely. It will absorb the dust and impurities on your skin surface to prevent clogged pores and inflammation, which cause acne. Moreover, it has antiseptic properties, so it helps to soothe the affected skin. Secondly, honey can help to remove wrinkles. This ingredient adds extra moisturizer to your skin; thereby it helps to reduce wrinkles. Importantly, it contributes to preventing the signs of aging such as smile lines and dark spots. When being combined with yogurt, honey can help to treat dry skin and cleanse your skin effectively. It has antibacterial properties and antioxidants, which will help to remove harmful bacteria and deeply nourish your skin. Furthermore, manuka honey can help to remove warts on your skin. The antibacterial and anti-inflammatory properties of honey make it compelling in killing bacteria and viruses that cause this issue. Last but not least, honey is useful at whitening your skin. It will hydrate your skin and gradually brighten it. Furthermore, honey will provide your skin with enough nutrients and protein to be healthy and glowing. It is said that skin lightening is one of the overwhelming benefits of honey on skin. The antioxidants in honey can protect your skin from the effects of UV rays and slow down the aging process. Moreover, honey locks the moisture in your skin to maintain the hydration and glow. Therefore, using honey masks will help to repair your dull and tanned skin. Moreover, the enzymes available in honey will boost the regeneration of skin cells, which makes your skin beautiful all the time. Apply this remedy every day for the best result. Repeat this remedy every 2 or 3 days to lighten your skin fast and safely. Repeat these directions thrice a week to get rid of tanned skin as fast as possible. To achieve the best result, do this remedy once per day. Follow this remedy once per week. Bacteria that cause infection are the leading causes of acne; therefore, to treat acne effectively, it is necessary to manage the inflammation first. With the antibacterial properties, honey will help you to solve this problem. It will help to kill the germs and remove them from your body. 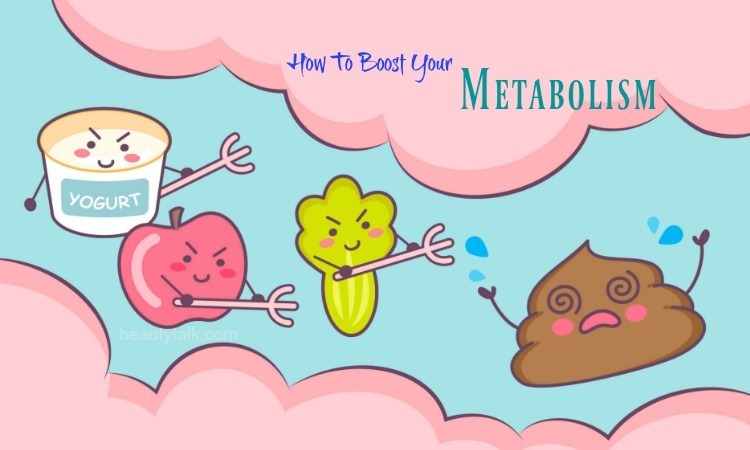 Moreover, this ingredient will detoxify your body, and increase the metabolism. Raw honey will provide your skin with vitamins, minerals, and enzymes to fight against skin diseases, while manuka honey attributes to healing wounds and damaged skin. Finally, wash it off with fresh water. Secondly, add honey and lemon juice to the lime zest and mix them well. You can add sugar for additional effects. Finally, wash it off with warm water and followed by the cold one. As we recommend above, honey can provide your skin with natural moisturizer. Also, it creates a protective layer to retain moisture and protect your skin from the environment. The antioxidants in honey will help to remove the dead skin cells and dust from your skin surface and make it smooth, while enzymes and nutrients in this golden liquid will nourish your skin and heal the dryness very quickly. Here are some honey remedies for dry skin that you should follow. 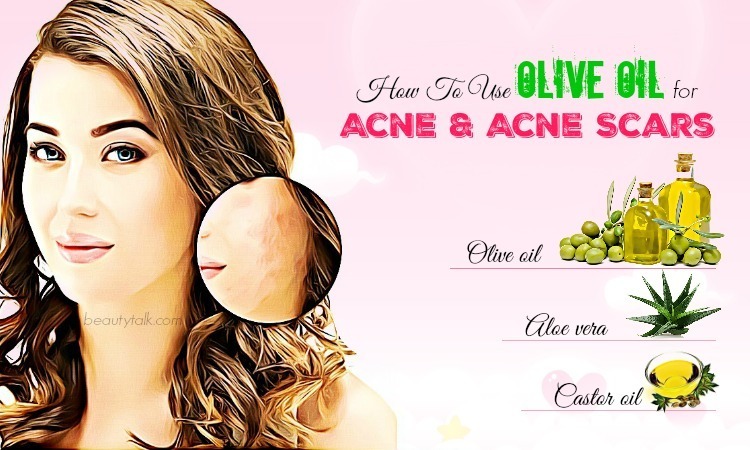 Repeat this remedy every 3 days to get rid of dry skin as soon as possible. 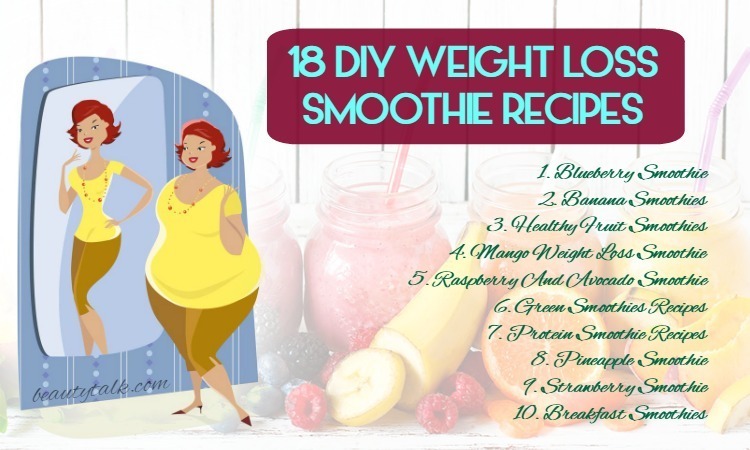 Do this process twice or thrice per week to get the desired result. Finally, wash it off and dry your skin using a towel. Repeat these directions every 2 days. Do this remedy every 2 or 3 days to get the best result. Honey is a rich source of alpha hydroxy acid, which acts as a natural exfoliant to help you remove dead skin cells, smile lines, and wrinkles. Applying honey mask is an excellent way to prevent the damage of free radicals and UV rays. This magic ingredient also helps to keeps your skin healthy thanks to the antibacterial and moisturizing properties. It makes your skin more resistant to the harmful effects of the environmental factors causing aging signs. Moreover, honey is useful in preventing moisture loss, so it brings you an attractive appearance. Repeat this remedy once a day to remove wrinkles fast. 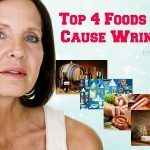 Do this remedy once per day to get rid of wrinkles soon. Follow these directions every 2 days to make your skin glowing. 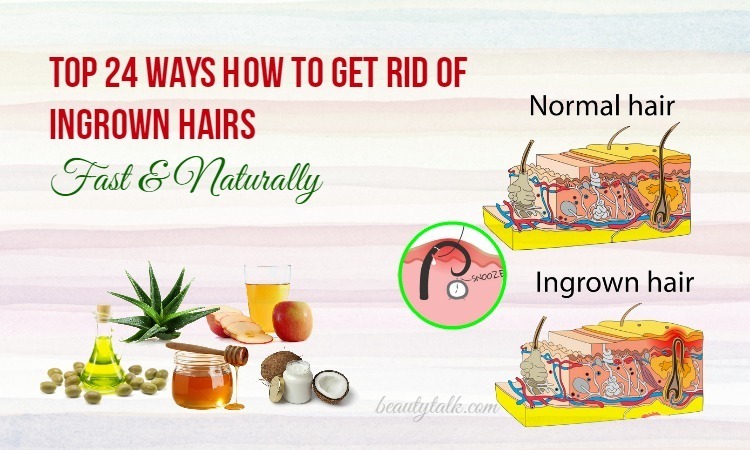 Regularly do this remedy to remove wrinkles and gain smooth skin. Thanks to the anti-inflammatory properties, honey can help to treat pigmentation and pimples. Moreover, honey adds more moisture to your skin and makes it softer. Primarily, it helps to soothe the under eye skin area. Using honey masks regularly will protect your skin from the damage of free radicals, which cause dark circles and wrinkles. Apply this remedy 3 times per week. Do this process daily to achieve the good result soon. 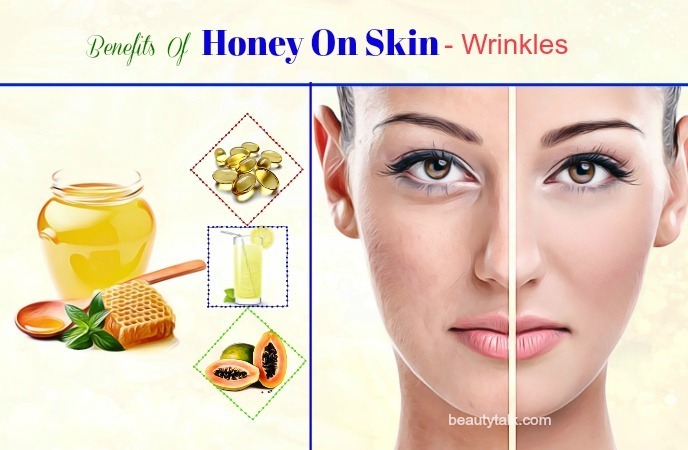 There are some special things you need to know to make use of the benefits of honey on skin. Wash your skin with warm water before applying honey masks to open the pores so that the nutrients can absorb deep into your skin. Above are the impressive benefits of honey on skin and the simplest ways to use it for skin issues including acne, wrinkles, dark circles, skin whitening, and dry skin. 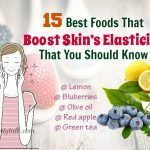 These remedies are straightforward but useful; therefore, try your best to implement them regularly to have beautiful skin. All content provided is for informational and educational purposes. We recommend you consult a healthcare professional to determine which method is appropriate for you. 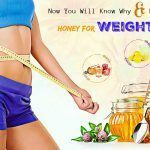 If you have any questions or know other ways to use honey for skin problems, please leave your comment under this article. For other superfoods for health and beauty issues, you can visit our Foods For Beauty page to get more information. Top 37 Natural Home Remedies For Dark Neck Skin – How They Work?